I love love love how this card turned out!!! I used the new Pom Pom trim for the first time and It's so cute!!! Just snip off the Pom Pom and attach it to the card with a glue dot! Easy Peasy! 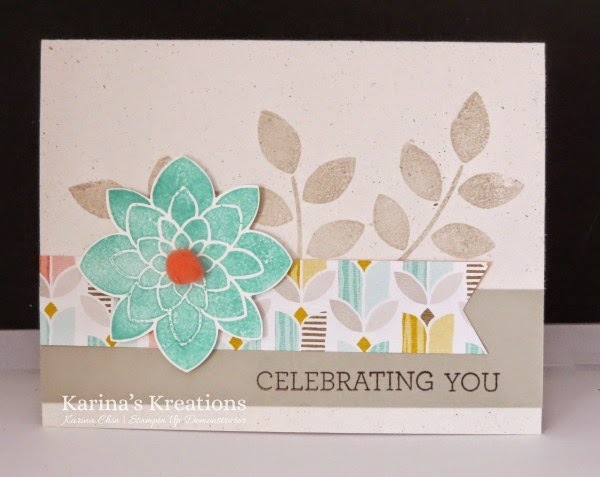 This card uses the new Crazy About You stamp set. I love all the copmbinations of words you can make with this set. Make a card and post it to my Karinas Kreations facebook page using these pieces and I'll enter your name into a draw. P.S. Are you coming to my 16 card birthday bash on Jan 25th? Email me at kchin2@telus.net to save your spot.